Hi friends. Now back to reality after a great family weekend! Don’t you just love those? I’ll fill you in on it a bit later this week. 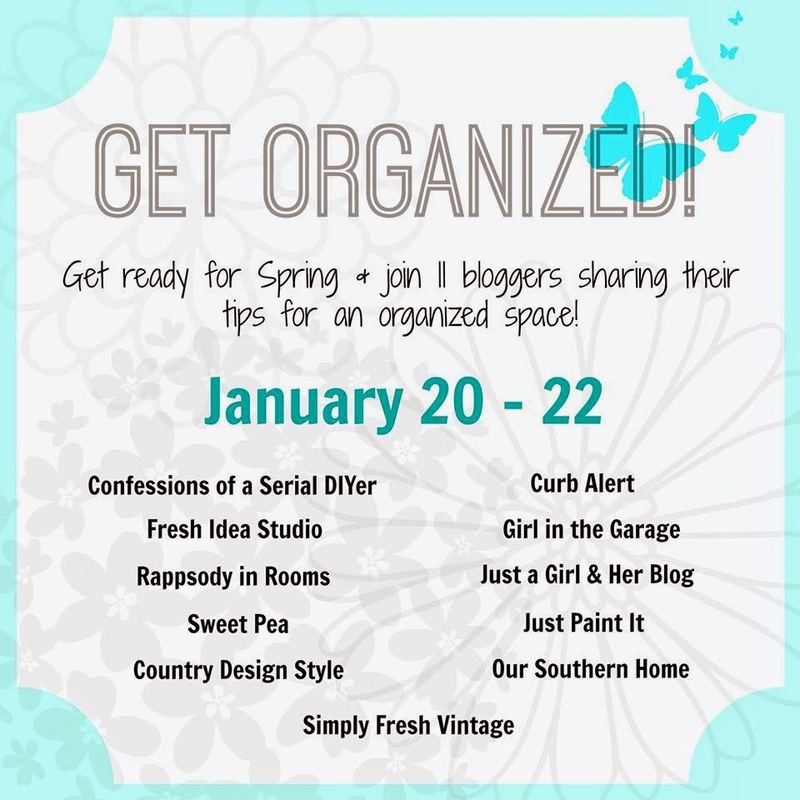 Some fabulous blog friends are getting together to share some great Organizing Tips. I decided to tame the junk drawer by Organizing our Homeowners Manuals. 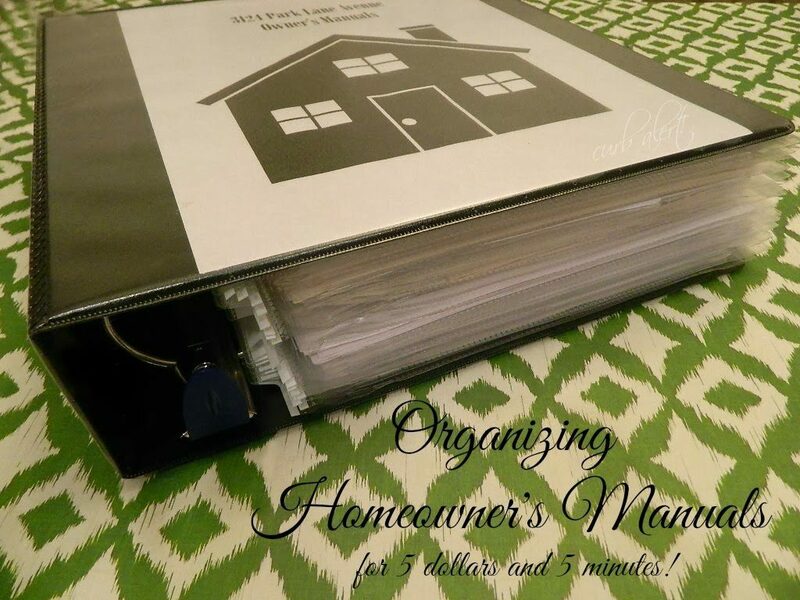 I have been pinning away at all of the awesome Household Binders on Pinterest and now I’m jumping in! 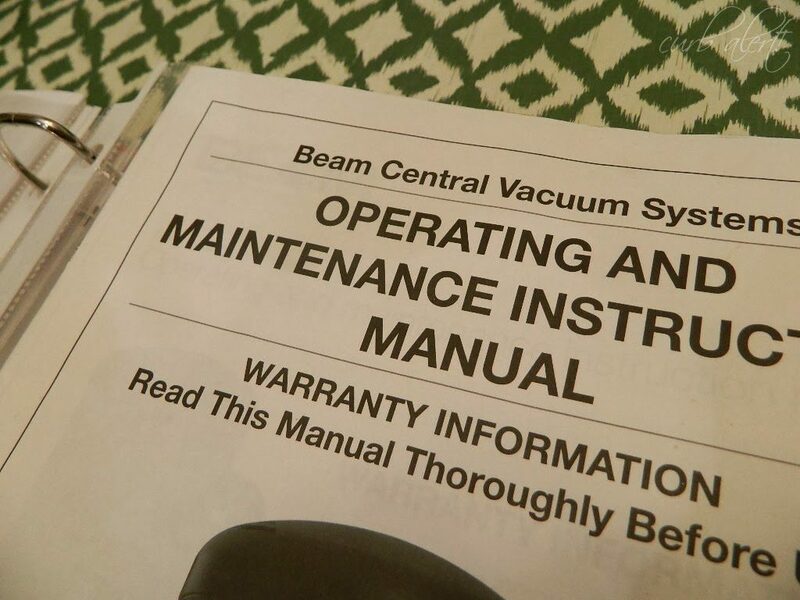 We moved into our home last summer and the previous owner was kind enough to have saved all of the homeowner’s manuals for the house. For the last nine months they have been shoved into the same drawer as the day we moved in making it filled to the brim! As we have purchased more items for the home I have just shoved them into the drawer as well! The drawer was getting too cluttered and the last time I opened it it tore one of the pages off of the paperwork! That bothered neurotic ole me so I decided to do something about it! Now I fibbed a little in the title pic, ” Five Dollars in Five Minutes” but just a little. 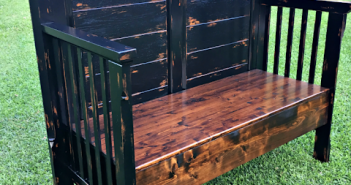 It did only cost me 5 dollars for this project and each step took only about 5 minutes so in all reality it didn’t take me long at all! It actually took me longer to decide on which cute binders to use than it did the whole project itself! 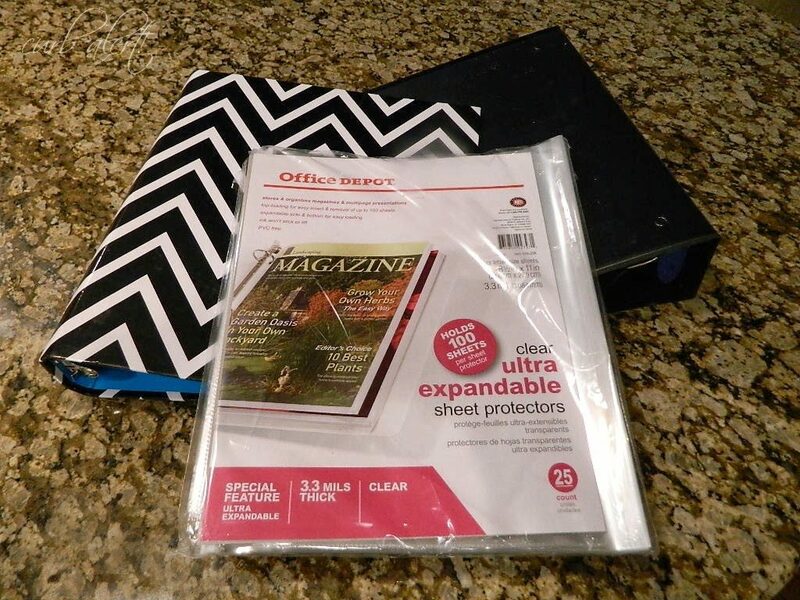 Office Depot had some great super thick sheet protectors that on sale only cost me a little over $5. The description boasts that each pocket holds up to 100 sheets! I was pleasantly surprised that they held up exceptionally well! I already had the two binders on hand so I was excited to finally put them to good use. I try to purchase them when they go on clearance since my kids go through them so quickly at school. 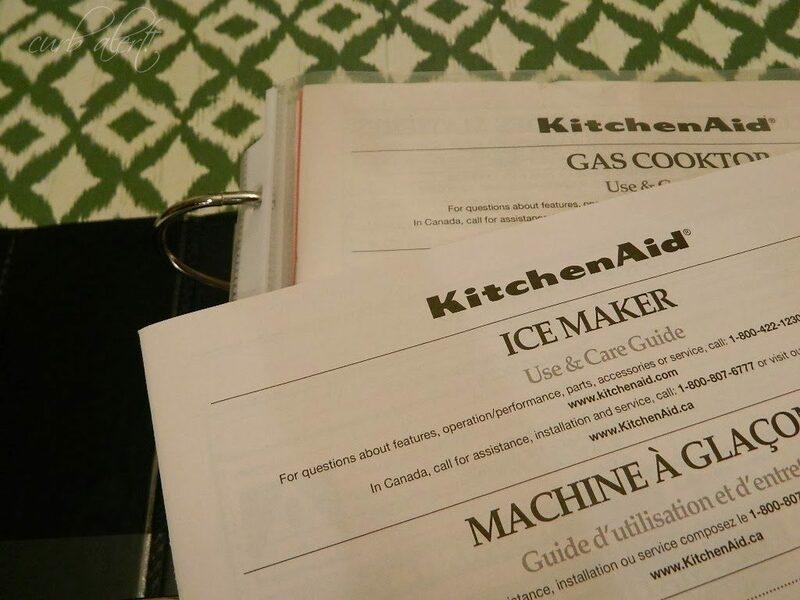 I sorted out all of the Owner’s Manuals by room…Kitchen Manuals, Electrical Manuals, Garage Equipment, Tool Manuals and Outdoor/Recreation Manuals. It really didn’t take too long, like I mentioned before…5 minutes! I even threw away some of them. Do we really need 5 Hunter Fan manuals when they are all the same model? No! So I grabbed our 3″ D-Ring black binder and stuffed all of the pockets with the paperwork. I was getting excited seeing it all come together! The entire time I was thinking, “Why Thank You Previous Homeowner” as I have been confused about exactly how to clean the Ice Maker (which is an awesome appliance by the way-it’s like having Sonic Ice in your own home!) and our Central Vac System has gone kaputz recently and I had no idea who to call until now! She really saved me a lot of time by saving all of this! After I stuffed the binders full, I printed a cute cover page to go on top! Now it’s your turn! Go forth and Organize! 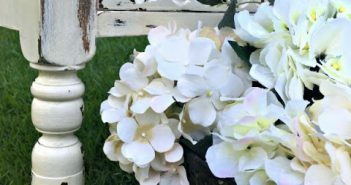 Hop over to my friends’ Organizing Posts as well! Previous ArticleTesting Testing 1 2 3 and Cute Puppies! 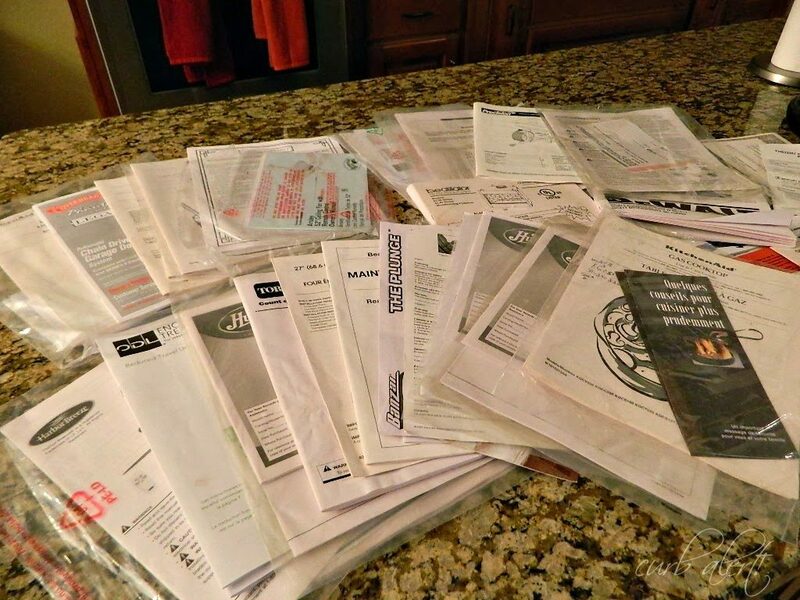 You are so smart to organize your manuals in one place. We have ours scattered all over everywhere: basement, office, closet. I need to do exactly what you did and go through them and put them in one place. Thanks for sharing this helpful idea. Great idea Tami! 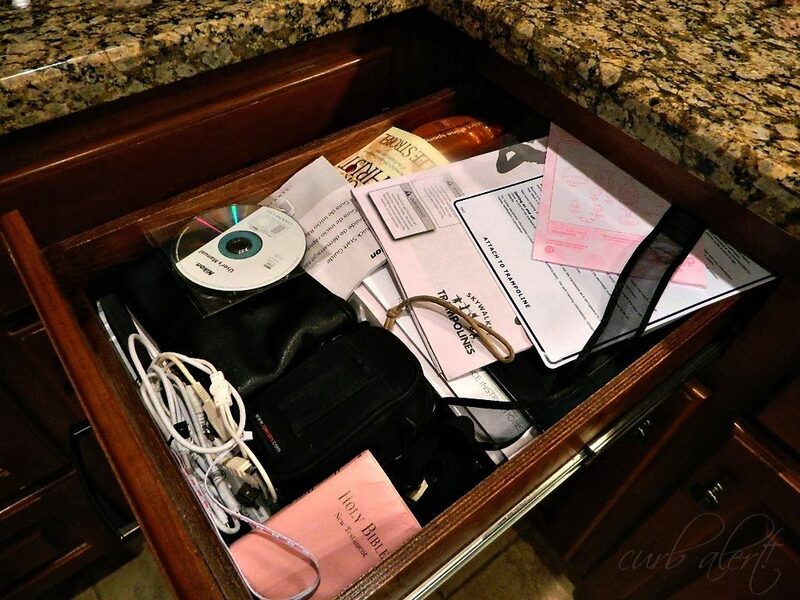 I'm just like you were, I have all our manuals crammed into a drawer. I'm sure I could go through and probably get rid of some of them and then put the rest in a convenient binder. It's going on my to-do list- Pinned! 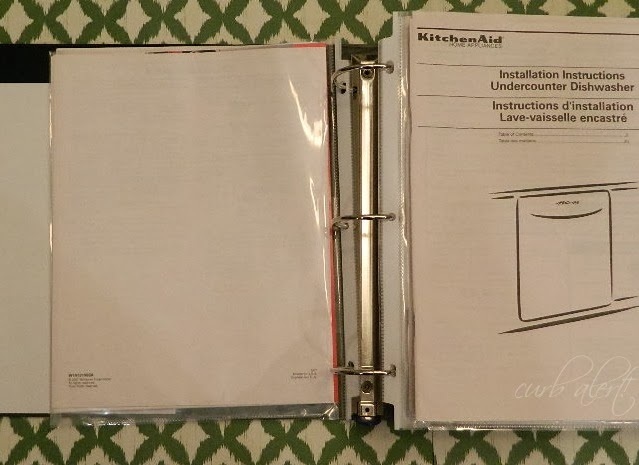 Ooh I love binders for everything, and what a perfect way to organize your manuals! Love this! Sharing on my Facebook page! I have had great plans to do this same thing, especially since we just built a house and all of the manuals are in multiple places. I even have the binders and page protectors! I just need to sit down and get it done. Congrats for checking this off your list! 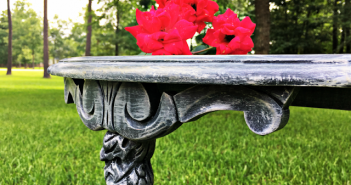 Great project…and something I need to do as well. 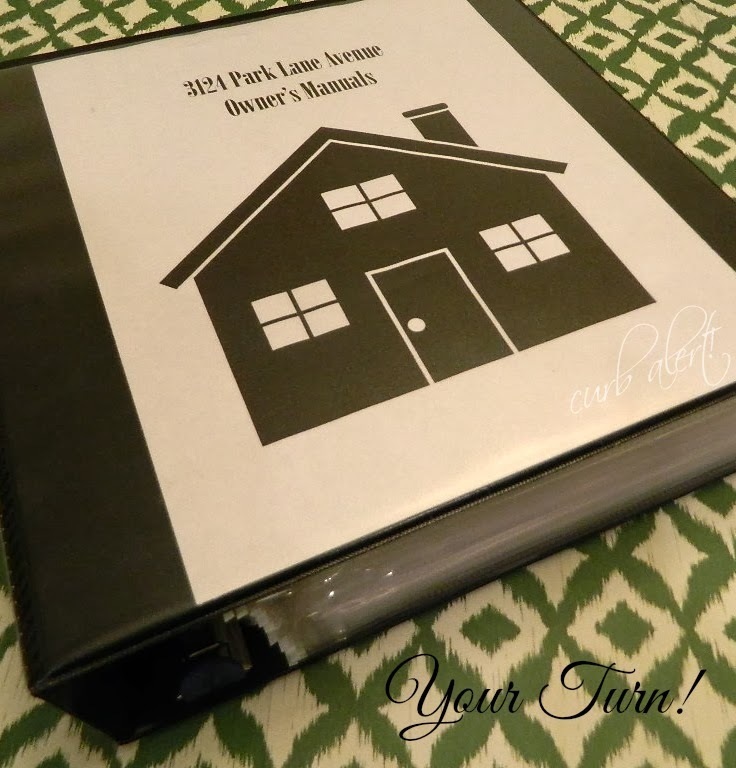 I've had all good intentions to making a notebook for manuels, stuff for a long time..Do you have a Free printable for the cover page of your manual notebook. DH has them in several filing cabinets..probably some in there that we don't even own the item anymore. I want to find out how much our home safes weigh and haven't been able to find out on internet so I need to go look for the manaul to see if it has that information in it. I want to hire somebody to built us a platform to hold the two home safes up higher, more at eye level so we don't have to get down in the floor to work the combination to open the safes. Getting up is a real struggle, especially for my DH. He has them in hanging files in the office in addition to metal filing cabinet in garage. I want them all in one place and the weight on this Sauder filing cabinet is starting to show and the drawers won't close correctly or easy anymore because of the excess weight of papers. What a great idea! You must feel so good having it all organized. 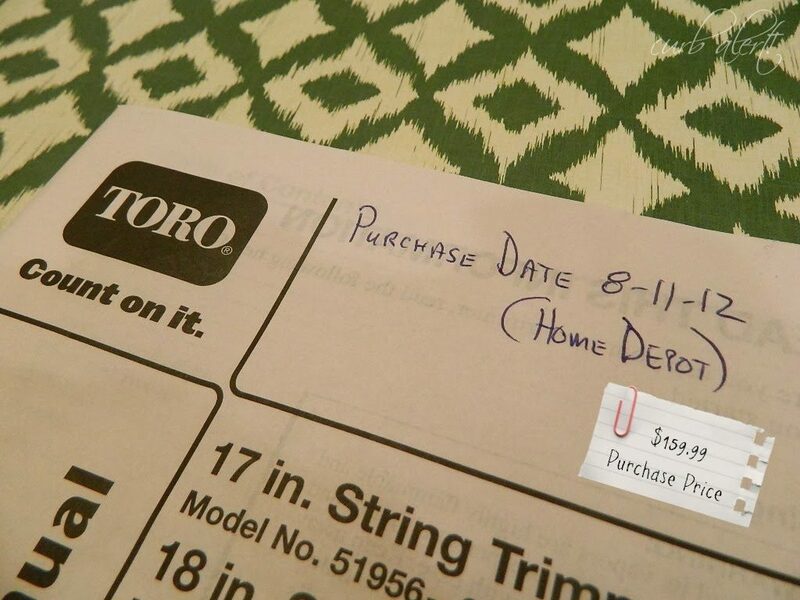 I love that you put the manual, date, where you purchased it, and receipt in one place.